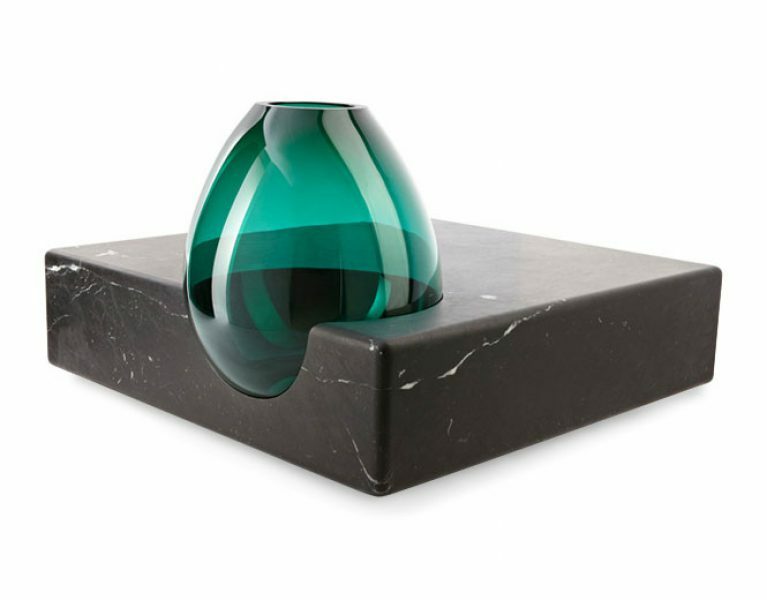 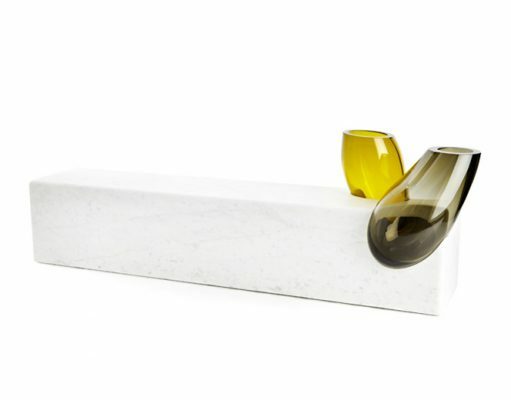 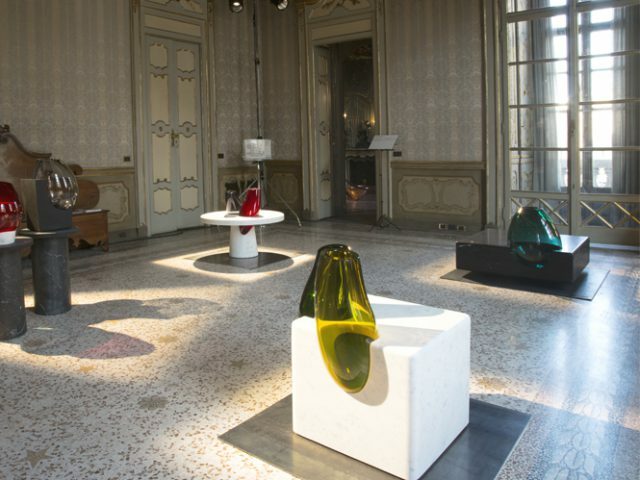 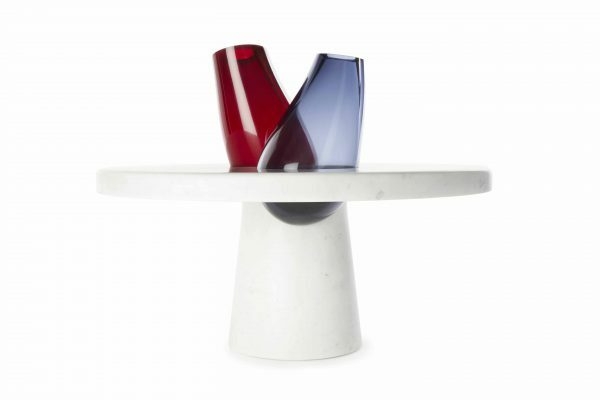 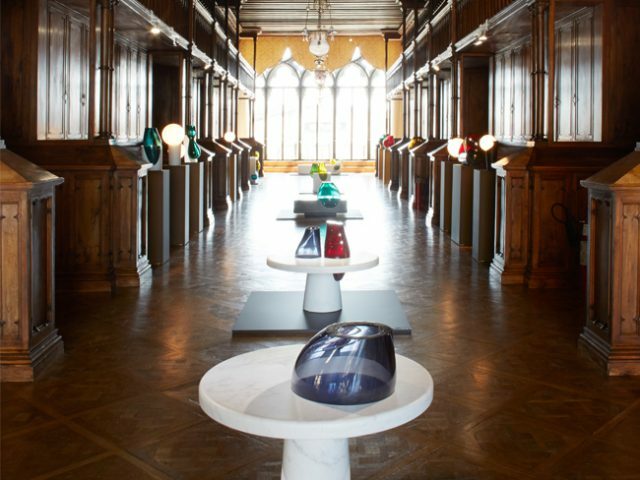 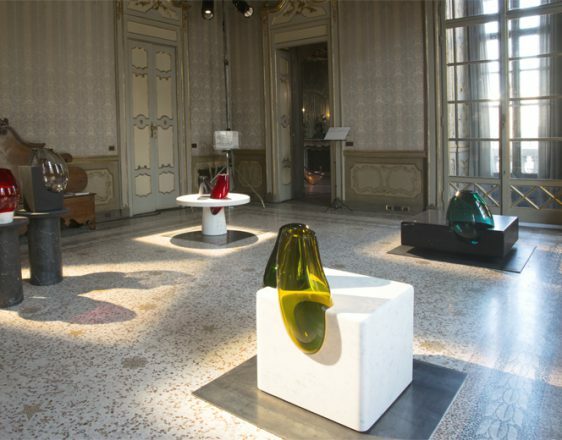 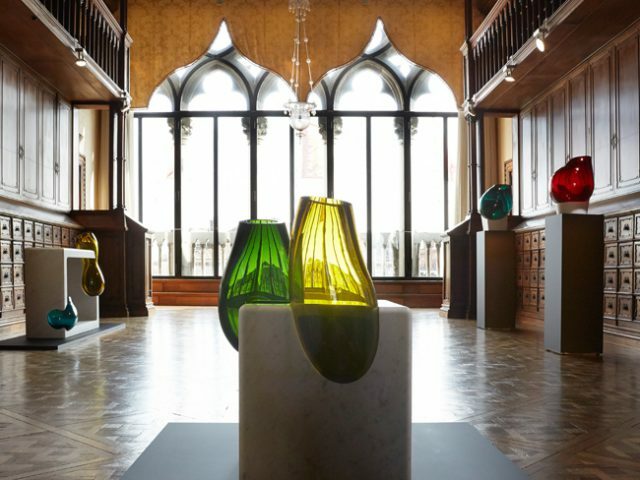 Osmosi is a series of unique glass-and-marble vases, furniture and lighting. 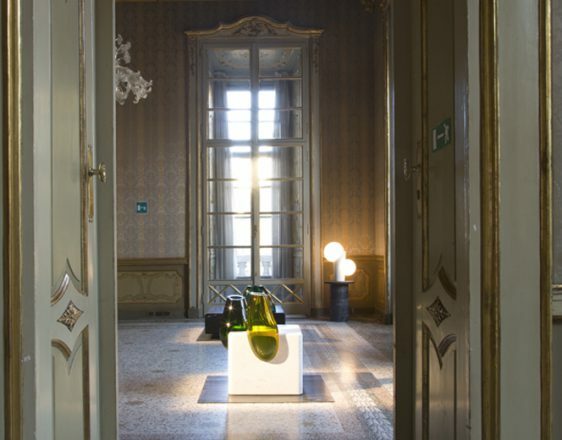 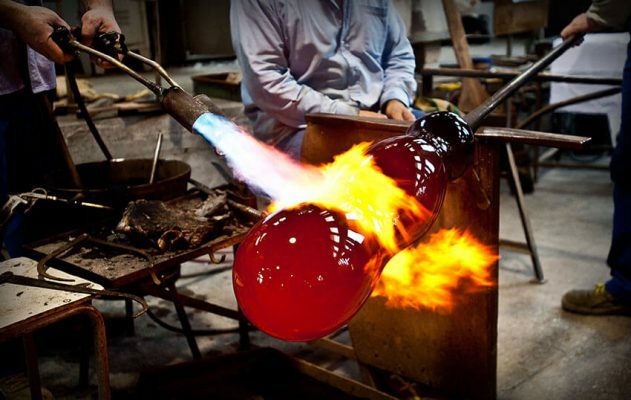 The project lies on the border between serial production and one-of-a-kind sculptures. 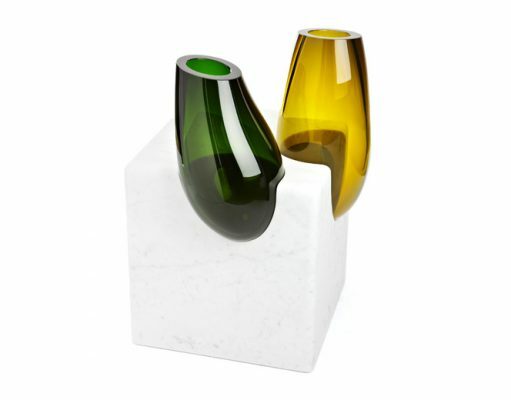 Each piece is resolutely functional. 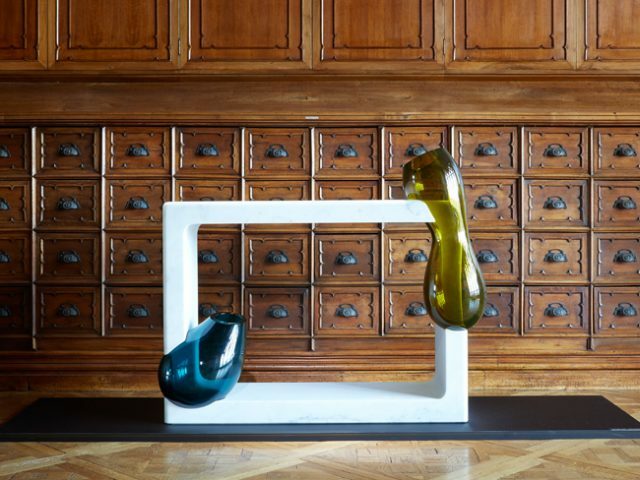 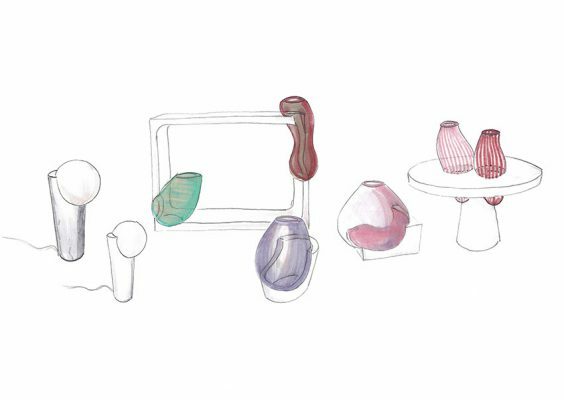 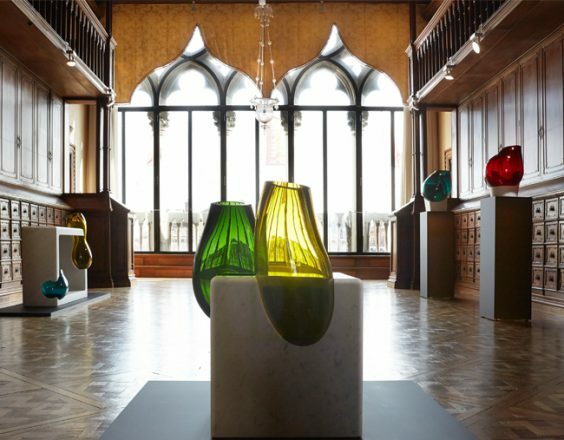 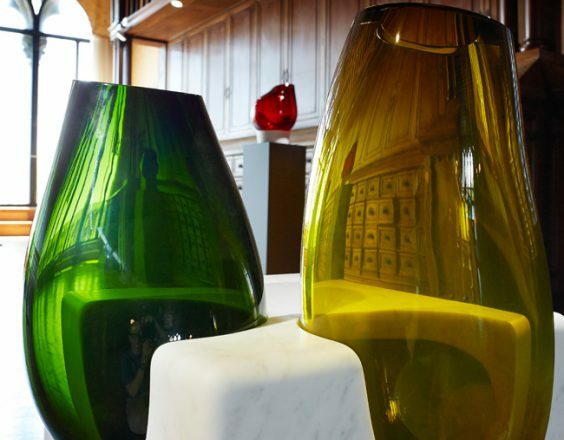 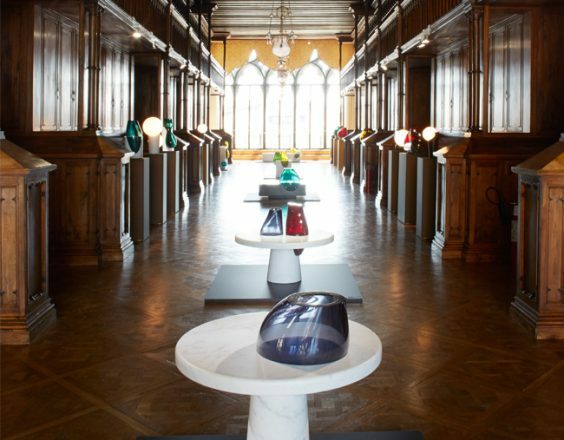 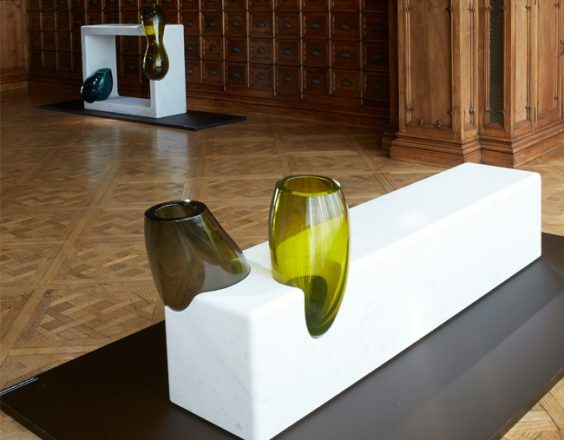 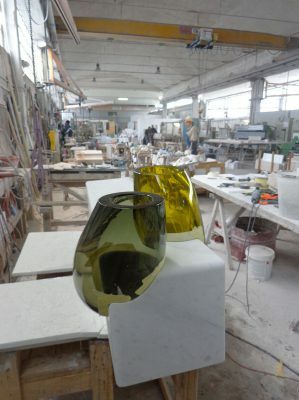 By combining new technology with traditional craftsmanship in an entirely innovative way, a virtual fusion is made between marble and hand-blown glass. These materials are put together with a precision that is only possible thanks to high-level digital technology. 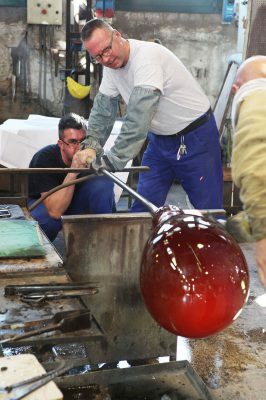 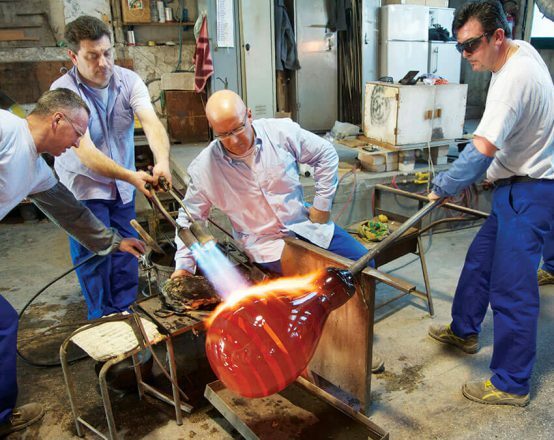 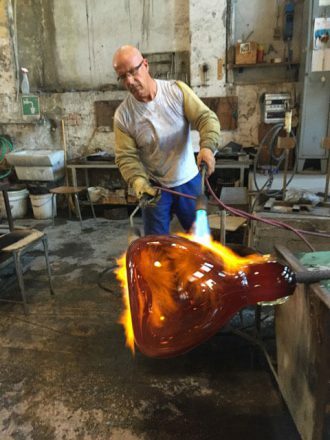 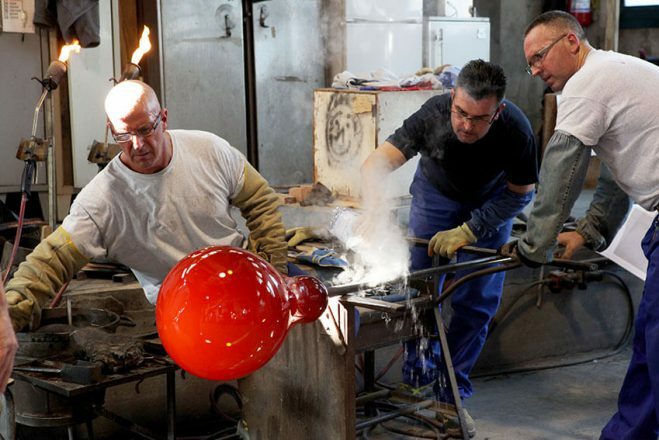 The process begins with making the glass. The hand-blown form is then captured by a 3-D scanner. 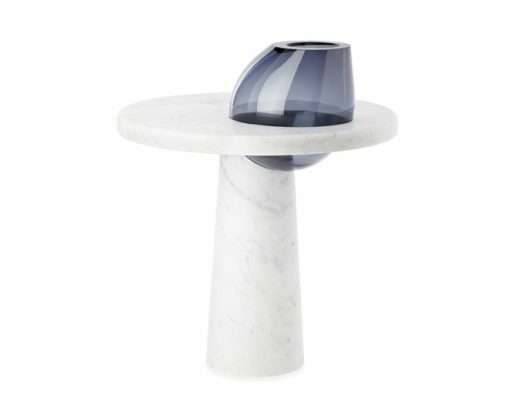 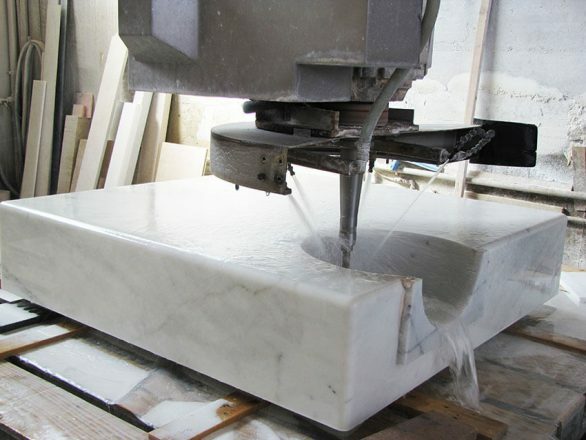 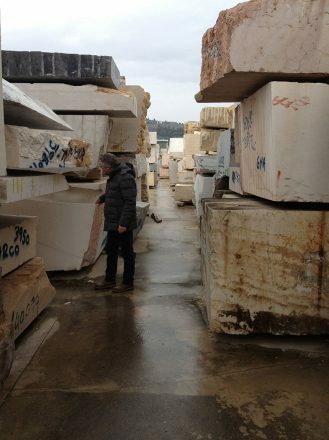 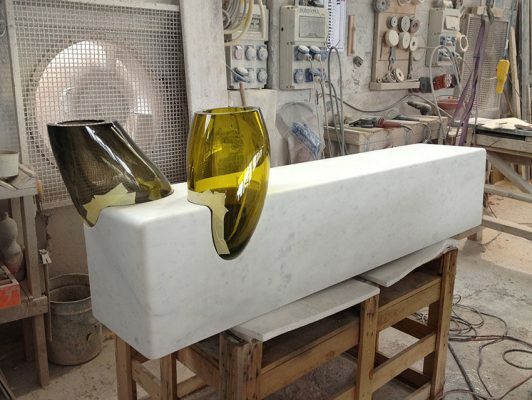 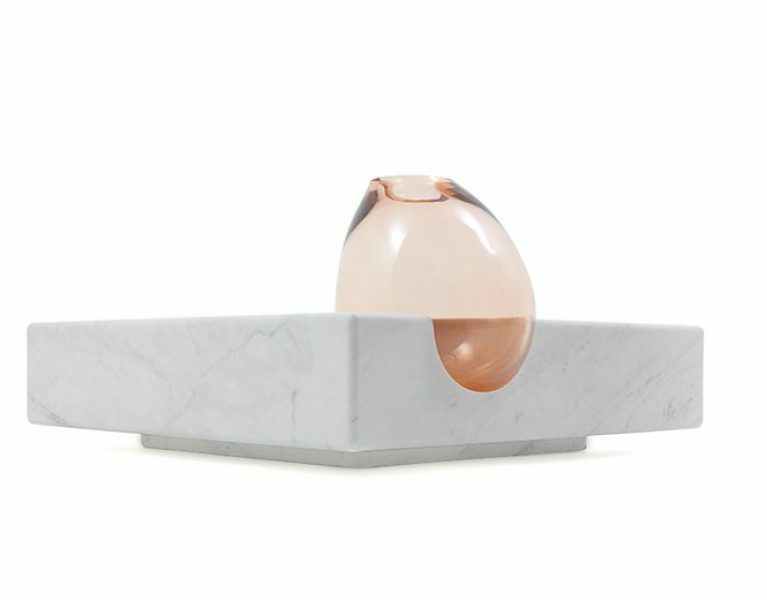 Through the digitalization of the form, the matching shape is CNC (computer numerical control) milled into the marble, creating two unique pieces that match each other perfectly. 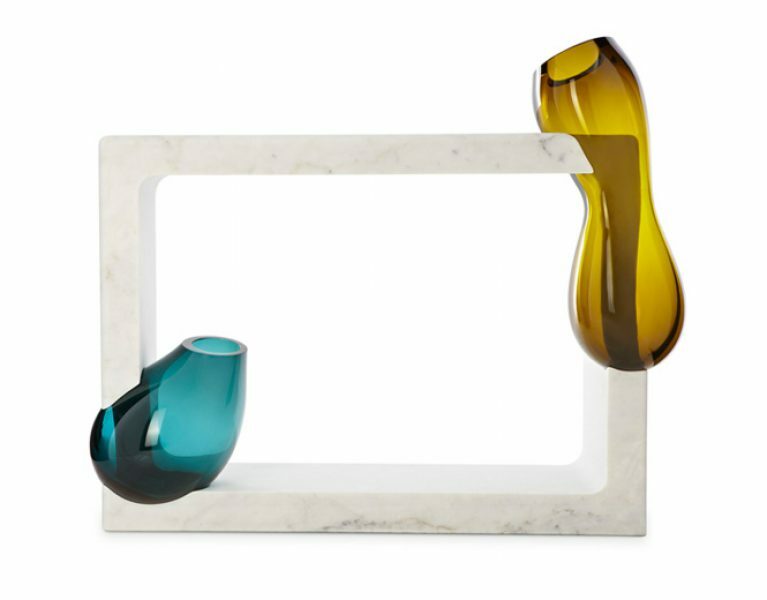 They are separate pieces, but each has no meaning without the other. They fit together through gravity alone. 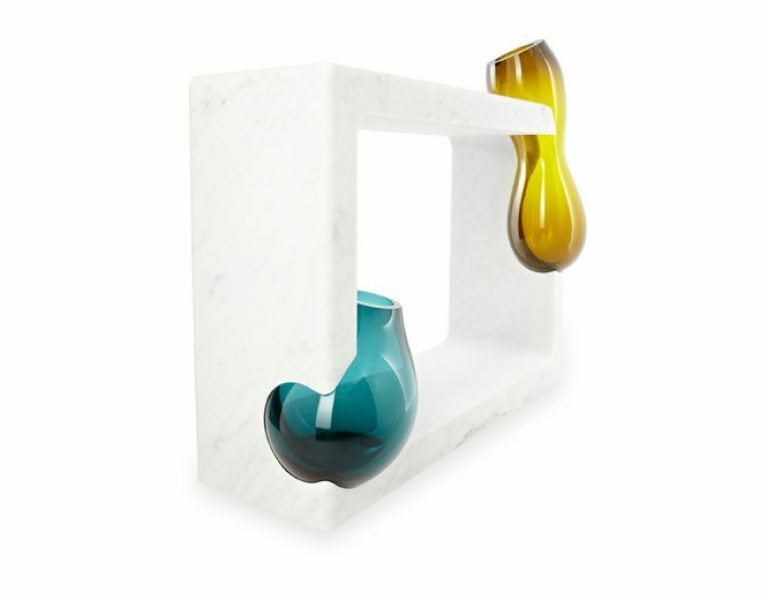 Like Cinderella and the glass shoe, there is only one unique piece of glass that can fit into one unique piece of marble. 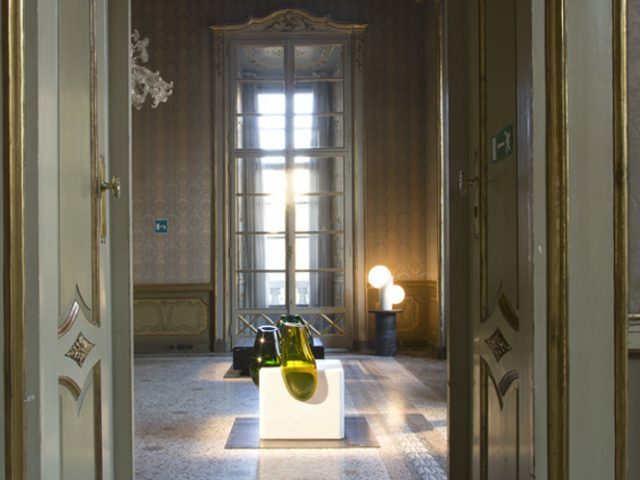 The effect is a perfect symbiosis between materials.